Body and Mind Studio® was formed in 2008 by Beccy and Paul Hopfensperger, but it's origins can be found back in 1987 when Paul, then a Mechanical Engineer, became a part-time Herbalife® Independent Distributor and was introduced to the Diet and Nutrition and Personal Development industries respectively. 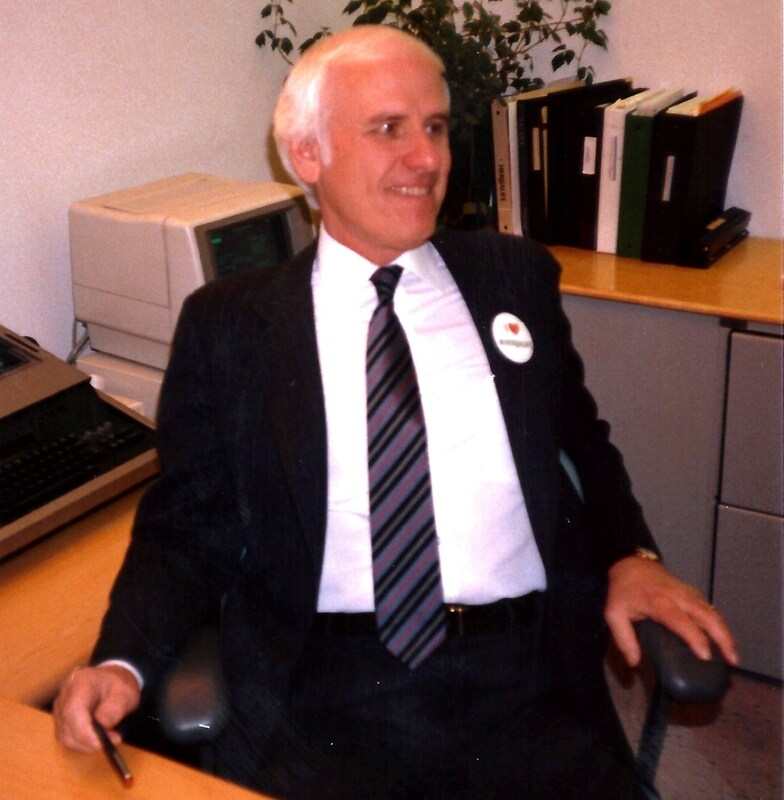 He attended monthly training in locations throughout the United Kingdom and the United States of America hosted by the late Herbalife® founder Mark Hughes, while at the same time he was taught personal development by the then Herbalife® International Vice-President of Sales, Larry Thompson, and the late Jim Rohn - recognised as "America's Foremost Business Philosopher". "My entire family has grown up using Herbalife products on a daily basis since they were very small", says Paul. "I was lucky enough to be introduced to the concepts of good nutrition and personal development by three people who became my mentors: Mark Hughes, Larry Thompson and of course the man who started so many off on the track to changing their lives for the better - Jim Rohn. What they all taught me, both in a nutrition sense for the Body, and a personal development sense for the Mind, became the very foundation of me setting up Body and Mind Studio® in 2008 and has helped me change so many people's lives for the better". 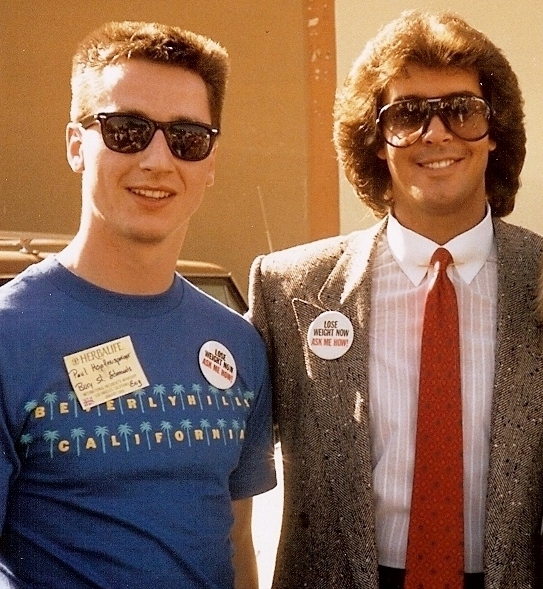 Above left: Paul with Herbalife® founder Mark Hughes. Centre: With then International Vice President of Sales, Larry Thompson. Right: With America's foremost business philosopher, Jim Rohn. 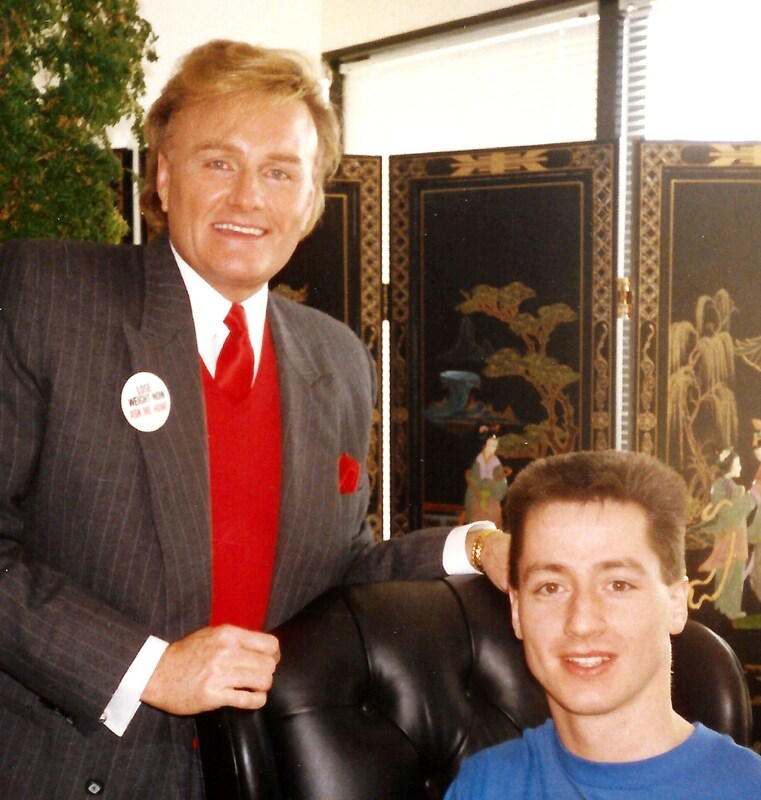 All photographs copyright (c) Paul Hopfensperger, and were taken during the weekend of the 2nd Herbalife® International President's Workshop (January 21-25), Herbalife® HQ, Los Angeles, California, USA, 1988. Following a successful engineering and computing career (Paul has an HND in Mechanical Engineering and was a Chartered IT Professional and Elite Member of the British Computer Society), Paul decided that the Diet and Nutrition industry was where he wanted to be, and decided to re-train with the concept of the "Body" and the "Mind" being central to both his beliefs and interests. 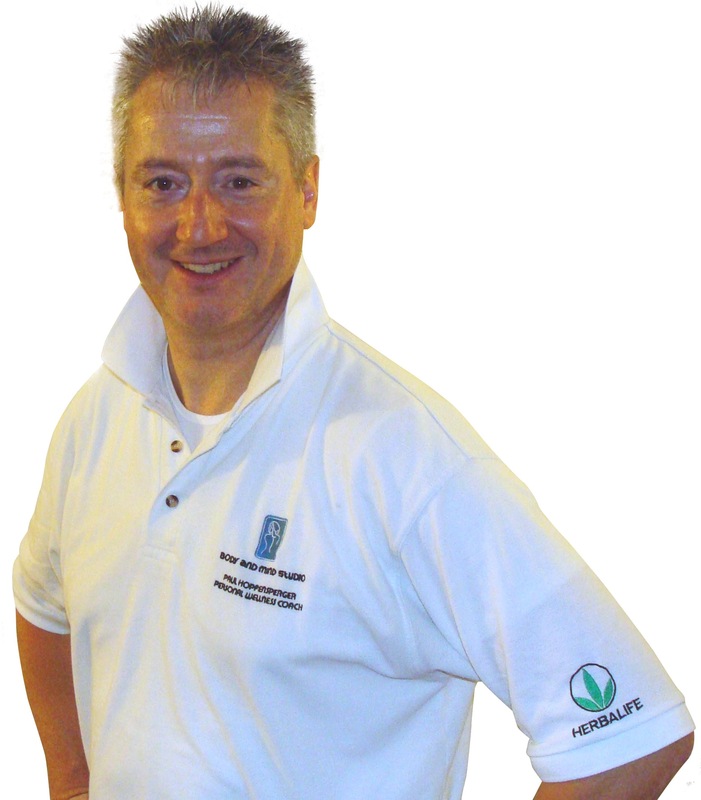 It was from this that he started Body and Mind Studio® in 2008 to compliment the existing Herbalife® business which in 2019 sees Paul celebrate 32 years as an Herbalife® Independent Distributor (see our separate website Herbal Nutrition for Life). PAUL is now qualified in Swedish Massage, Sports Massage, Advanced Clinical Massage, ANDUMEDIC® 3 Massage, Medical Compression, Reiki, Diet & Nutrition, Hot Stone Massage, Indian Head Massage, Ear Candling, Meridian Stretch Massage, Kinesio Taping (KT1, KT2 & KT3: Sports Injuries), Chinese Nutritional Therapy and Kinesiology. He is a Master Instructor for Dr. Peter J D'Adamo's Institute for Human Individuality specialising in Naturopathic Nutrition using The Blood Type Diet®, The GenoType Diet® and OPUS23 Genomic Bioinformatics. Paul holds a Diploma in Neuro Linguistic Programming (NLP) for which he is also a Certified NLP Practitioner. Currently he is training to be a Leadership Coach with Internationally renowned Coach - John Maxwell. He is a John Maxwell Team Member (#JMTeam). He is also an accomplished open water swimmer, having represented Great Britain in the 2008 FINA World Cup Open Water Swimming Grand Prix series and was only the 84th person in history to complete two solo swims of the English Channel in 2007 & 2008. He also successfully completed a third crossing as a member of the Team Iryna International Channel Relay Team in 2010. He puts his achievements down to optimum nutrition using quality supplements daily since 1987, regular massage and a constant ability to change habits using NLP techniques to achieve his desired outcome(s). Paul uses his experience and achievements in his Motivational Speaking seminar - "Life is a Channel Swim - Setting and Achieving Goals". Paul is a Member of the Complementary Medical Association, an Affiliate Member of the Institute of Naturopathic Generative Medicine, and a member of BABTAC. Paul is also a member of the Suffolk County Council Health Scrutiny Committee which scrutinises the health service provision in Suffolk. As part of this position, he is an NHS Board Meeting Observer on the West Suffolk Hospital and West Suffolk Clinical Commissioning Group board meetings. Following a successful career in finance in companies throughout Suffolk and Cambridgeshire, Beccy decided that she would also like a career in personal wellness, and decided to join her husband Paul in the formation of Body and Mind Studio® in 2008. 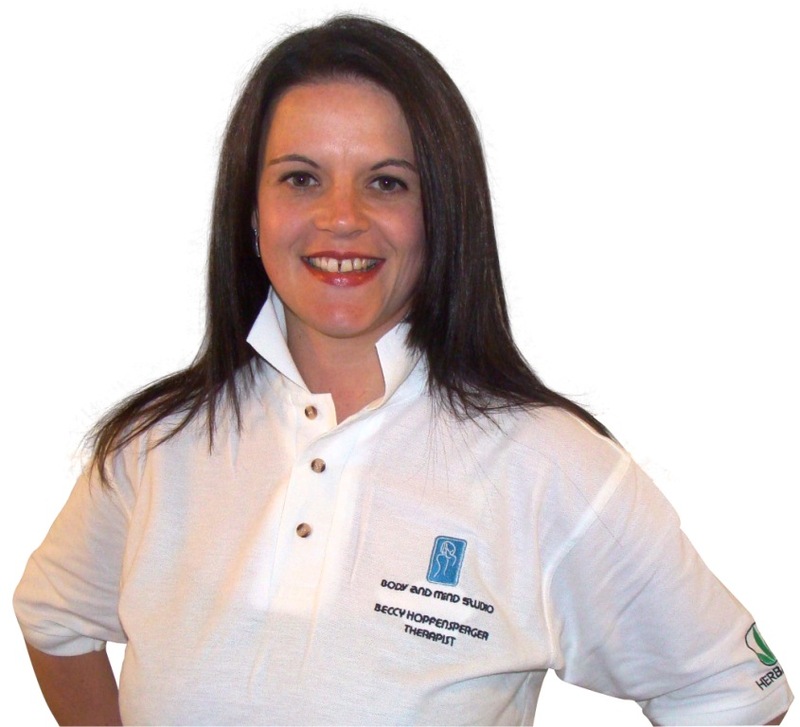 Beccy started her training first completing her Anatomy and Physiology in 2008 and then qualified as a Massage Therapist. BECCY is now qualified in Swedish Massage, Maternity Massage and Kinesio Taping for sports and general injuries (KT1 & KT2). She has helped her husband Paul achieve one of his lifelong ambitions of swimming the English Channel by keeping his body in peak condition through regular massage and Kinesio sports injury taping. She was an invaluable member of his crew during his two solo English Channel Swims and two GB FINA World Cup swims in Serbia and Mexico, providing the nutrition throughout the swims, but just as importantly, the motivation and encouragement throughout these most difficult of swims. Beccy is a member of BABTAC (the British Association of Beauty Therapy and Cosmetology). She is also a member of the Suffolk Health and Wellbeing Board which was established in accordance with the Health and Social Care Act 2012. The Board has a duty to "Encourage integrated working" between health, care, police and other public services in order to improve the wellbeing outcomes for Suffolk.